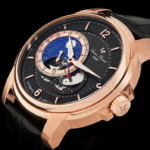 For generations mechanical wristwatches have been highly regarded in the world of horology for their meticulous craftsmanship, intricate movements and time-honored design. If you’re a serious watch collector you should consider having a mechanical timepiece in your collection. Mechanical movement timepieces have been around since the very introduction of time-keeping devices in the early 17th Century. Numerous watch collectors today prize mechanical watches for their Old World craftsmanship and artistry, bespoke movements and premium quality. Mechanical watches have a spring-driven mechanism inside and are powered by a series of gears oscillating back and forth at a constant rate. 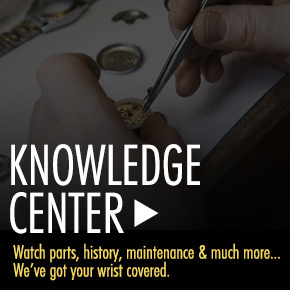 Unlike self-wound automatic models that are powered by the movement of the wrist, mechanical watches require manual winding on an almost daily basis to keep the movement running properly. Many prominent luxury Swiss watchmakers from IWC, Omega, Zenith, Graham and Rolex to TAG Heuer, Oris, Breitling, Eterna and Invicta, all feature mechanical timepieces in their prestigious watch collections. You don’t have to look any further than the IWC Pilot Worldtimer Men’s Watch to experience mechanical watchmaking excellence at its finest. This meticulously crafted Swiss-made timepiece features the premium grade stainless steel case with alternating brushed and polished surfaces. The handsome black alligator strap adds to impressive design and has a costly push-button deployment clasp. The black dial features a rotating outer dial with cities from 24 different time zones, including London, Paris, Dubai, Beijing, Tokyo, Los Angeles, New York and Rio De Janeiro. Features include an automatic date calendar, luminous white hands and 12/24 Arabic numeral hour markers. Additional features include a scratch-resistant sapphire crystal above the dial and water-resistance to 60 meters. 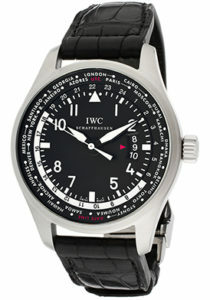 IWC men’s watch is 47mm in diameter and 14mm thick. The Maurice Lacroix Masterpiece watch is another exemplary mechanical timepiece choice. The elongated rectangular shaped case in premium-grade stainless steel is highly polished to a mirror bright glow. The genuine black alligator strap has a costly push-button deployment buckle for added distinction and convenience. The stationary bezel frames the silver-colored dial with a small-second sub-dial, polished silver-tone, luminous sword hands and hour markers. An exhibition skeleton case back reveals the intricate mechanical movement inside. Features include a scratch-resistant sapphire crystal on the dial and case back. 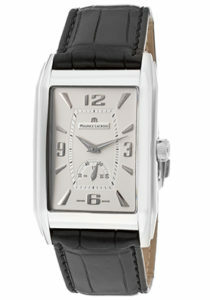 Swiss-made Maurice Lacroix watch is 31mm wide and 9mm thick. 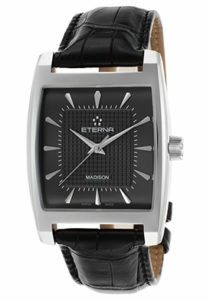 The Eterna Madison mechanical men’s watch is also a great choice for your collection. This superbly crafted Swiss-made timepiece has a rectangular-shaped case in polished premium grade steel presented on a genuine black alligator strap with a convenient push-button deployment clasp. The legible black dial with a center textured background features polished silver colored sword hands and raised silver colored hour markers. The exhibition skeleton case back gives you a full view of the mechanical movement inside. 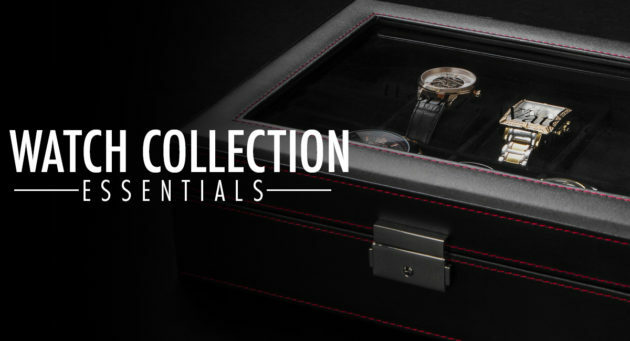 Features include scratch sapphire crystals on the dial and case back. Eterna watch is 35mm wide, 9mm thick and water-resistant to 50 meters. 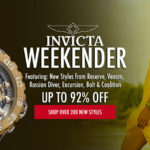 The Invicta Russian Diver mechanical men’s watch offers premium Swiss-made craftsmanship at a highly affordable price and is also water-resistant to 1,000 meters or 3,300 feet. The generously sized 52mm diameter, 17mm thick case in stainless steel has a black ion-plated stainless steel bezel and protective left-facing crown cover. The black alligator-textured leather strap and signature black ion-plated steel front grille on top add to the striking good looks. The bright purple dial shines with luminous sword hands and cabochon dot hour markers. The hinged black ion-plated steel back on the case opens to reveal the exhibition skeleton case back. 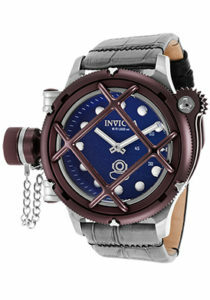 Invicta watch has a patented scratch-resistant Flame Fusion crystal above the dial and case back. New Trend In Watches Grey is The New Black: Up to 89% off Grey Collection Now.